Cultivating meaningful relationships with God, family, friends, professional peers and the many “friendly competitors” on the hoops courts, pong tables and/or ANY “athletic competition” is extremely important to Ken. Don’t ask for his stats spreadsheet (smile). As the Founder of the PingPong.GIVES Charity Foundation, it is Ken’s hope to leave a legacy of improving Mental Health and Brain Fitness through playing Ping Pong, integrating Table Tennis Programs into the community and raising funds for a dynamic group of disparate organizations that currently include Alzheimer’s, Parkinson’s, PiN and EVMS. No one runs out next week and says, “I think I’ll go be homeless”. Whether through the community, church, or volunteering on the board of People in Need Ministry, Ken is passionate to serve the calling to help the needy and poor.. While Ken’s professional marketing experience is unique and broad, it has shaped his passion to improve mental health and brain fitness through, of all things, playing Ping Pong. “Scientifically validated, while ANY activity is good for the brain, playing the sport of Table Tennis is one of THE BEST therapeutic benefits combining the social, physical and mental aspects of life ”, Ken shares. After founding a 501 (c) 3 non-profit, Ken’s PingPong.GIVES Charity Foundation and its annual events has raised nearly $600,000 and donated close to $400,000 to its 5 Charity Partners that include People in Need Ministry, Alzheimer’s, Parkinson’s, Vanguard Landing, and Eastern Virginia Medical School (EVMS). Additionally, Ken’s foundation is integrating Table Tennis Sports and Education programs in countless retirement communities, schools, churches, businesses, organizations, and neighborhoods throughout the country. .
Ken’s professional history helped him grow into a seasoned leader and “marketing expert” blending local and national experiences in traditional, digital and social media catering many industries, with niche skill sets in the Automotive, Professional Services, Non-Profit and Special Event verticals. The AdImpact team partners with businesses to serve as their executive level, in-house marketing expertise, at a fraction of the cost of hiring a full time Chief Marketing Officer.Hiring a fractional CMO allows you to engage marketing expertise on demand. It’s flexible. Maybe you need 12 or 20 hours a month. Maybe you need 50. You don’t have to sacrifice talent or bend to the whims of an outsider. Unlike one-time consultants, AdImpact’s team truly immerses themselves in your company and its culture; they embrace big challenges and think strategically about sales problems while keeping you on target year after year. Automark Solutions has brought cutting edge technology to the auto industry helping automotive retailers develop comprehensive digital marketing strategies, website conversion tactics and consumer engagement. Its software makes connecting the car buyer with the car dealer a seamless experience –particularly when it results in a transparent, non-threatening environment that provides instantaneous vehicle pricing to meet the needs of the savvy car shopper. 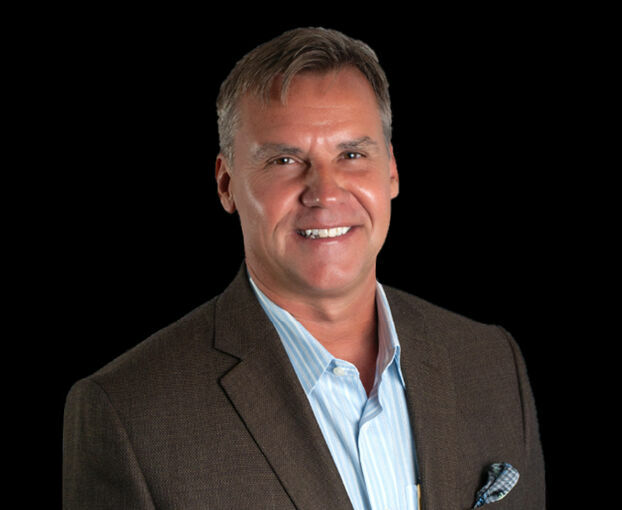 Some of Ken’s successes in this start-up include securing the FCA (Fiat/Chrysler) relationship, cultivating numerous agency partnerships and signing up hundreds of automotive dealer clients. Ken served in numerous mid to executive level start up positions with leading media corporations. A highlight included joining a team of 8 pioneers that launched AutoTrader.com to the point of profitability. Also, Ken helped Stoneage Media/Car.com propel into one of Inc.’s 500 fastest growing private companies later acquired by publicly traded Autoweb, Inc. and later accepted the role of VP Sales & Business Development for Dealer.com where he led revenue generating initiatives, developed structure and created business positioning for the acquisition by Cox Automotive. “As part of the high school class of 81, Ken exemplifies (TODAY) the positive impact his early education has had in his community, his family and his professional career. We are so fortunate to lean on Ken, his company and their marketing expertise that’s playing such a significant role in the growth of Broadwater Academy, it’s student enrollment and development initiatives." One of the greatest joys of my life was starting a nonprofit that can impact the community.